Everyone else is doing it; why not me? Here are the top 5 books I read in 2016. You might want to check them out. These are by no means above the average person’s head; they are not “scholarly” works as you will soon find out. 5. 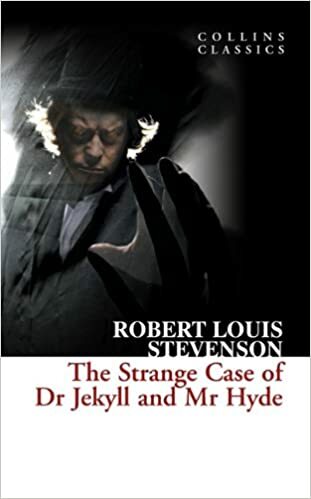 The Strange Case of Dr. Jekyll and Mr. Hyde by Robert Louis Stevenson (Harper Press, 2010). While I am not a huge fan of fiction, I really got into this book. Most will know the theme of Dr. Jekyll (a nice guy) becoming Mr. Hyde (a bad guy) due to a potion that he developed. I remember watching the Looney Toons version of this and naively thought that this would be similar to that, but it definitely is not. There were twists and turns I did not see coming, especially at the end. This is a short book and was a fun read for me. 4. Thoughts for Young Men by J. C. Ryle (Banner of Truth Trust, 2015). All I can say is that I wish (oh how I wish) I had read this book when I was a teenager. I wonder if I would have appreciated it then as much as now though. 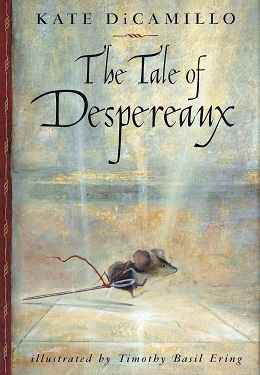 Despereaux, a rat name Roscuro, a girl named Miggery Sow, and the last involves them all together. Despereaux is in love with a princess. Roscuro hates the princess. Miggery Sow envies the princess and wants to take her place. It was such a fun story to read that when I read only one chapter, my kids would beg for me to read another. After the second, they’d beg for a third. My kids’ ages ranged from 8-13 and they all were enraptured with this tale. 2. 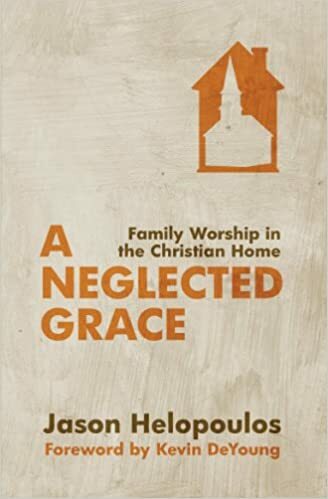 A Neglected Grace: Family Worship in the Christian Home by Jason Helopoulos (Christian Focus Publications, 2014). If you are one who desires to do family worship or have started and stopped and started and stopped in the past, I would absolutely recommend this book. Jason Helopoulos sees family worship as a grace of God and being such he is gracious and encouraging as to how to approach it. Rather than feeling beaten down, I felt encouraged as if I can lead family worship. (I’ve heard Don Whitney’s book is also good, but I have read this one and know from experience that this one is top-notch). 1. 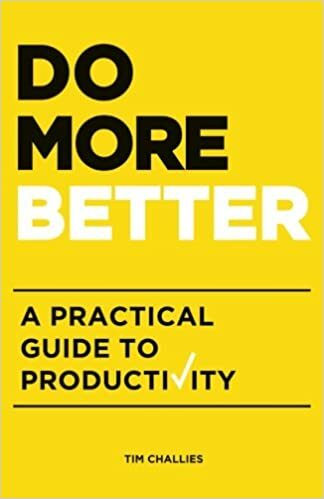 Do More Better: A Practical Guide to Productivity by Tim Challies (Cruciform Press, 2015). I read this one with Challie’s 10 Day Challenge that began this year. My life has run all the more smoother because of this book. This is not a hard read at all. It is definitely worth taking the 10 days to go over it with each chapter. It is filled with practical advice and steps to be more productive. I love his definition of what it means to be productive and that it is thoroughly Christian throughout, though a non-Christian would definitely be able to use it as well. I will say that The Rise of Theodore Roosevelt by Edmund Morris (Random House, 2001) should be on this list. However, as of writing this post, I am not quite finished with the book. This massive book is all about TR’s life, from birth through his becoming president upon the assasination of President McKinley. Morris is a master story-teller and this book is a Dee-light to read. TR was a bigger-than-life gentleman. His many accomplishments in life is simply unbelievable.